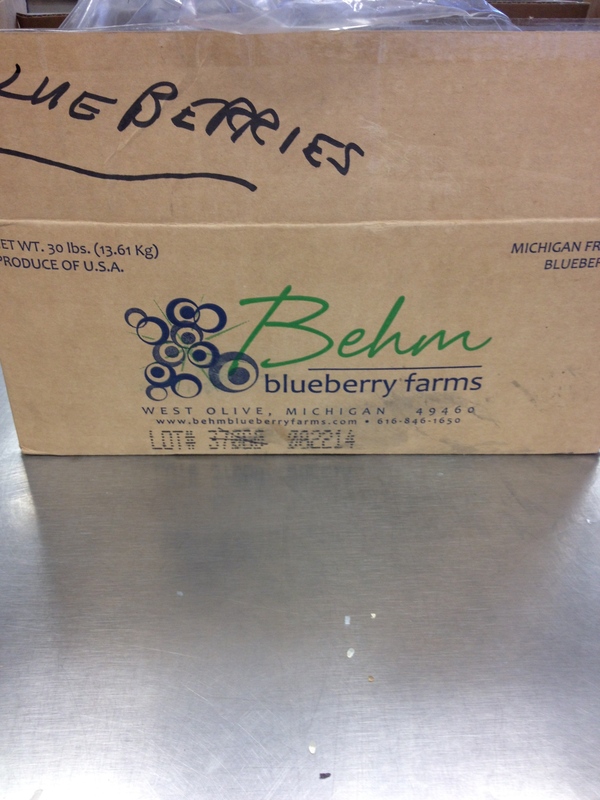 March is a tough time for local food, but we managed to feature some lovely Michigan-grown blueberries last month in their frozen form. 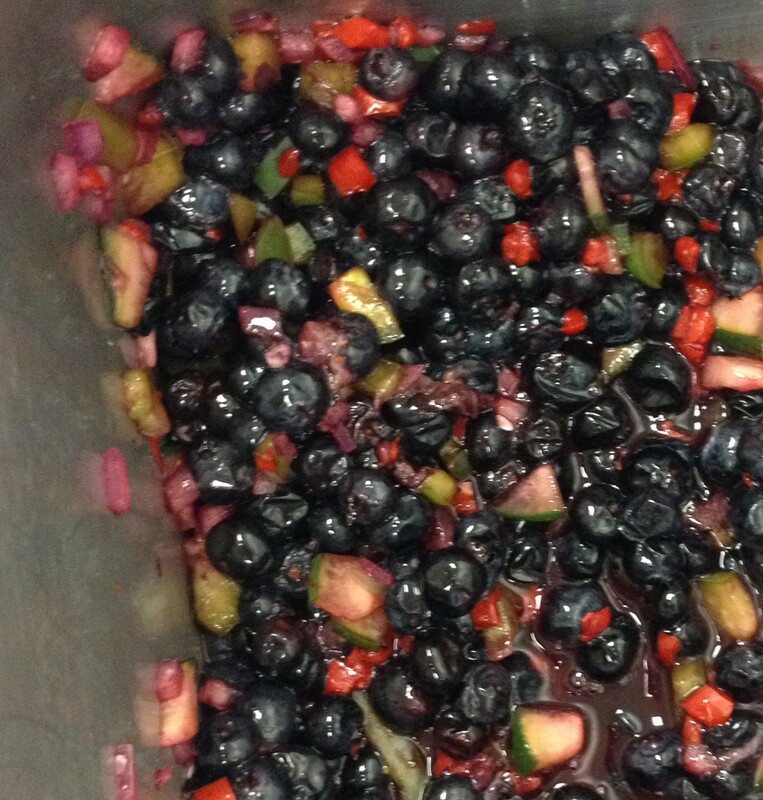 The kitchen staff tried out a new recipe with the blueberries and featured it on the same day as nachos were on the menu: Michigan Blueberry Salsa. Frankly, we weren’t sure how the students would react to this rather unconventional flavor mixture, so we attended as many lunches as possible. Students at Wylie Elementary and Mill Creek Middle School tried the salsa on the lunch line, and after all students who buy school lunch finished getting their meals, home-lunch students were offered samples of the salsa. Students voted “thumbs up” or “thumbs down” after they tried the sample. At Wylie, a turn of events changed the tone in the lunchroom halfway through the lunch periods – the kitchen staff ran out of ingredients for the salsa! Our Farm to School Coordinator suggested serving the blueberries on their own in frozen form, and GOLLY did that make a difference in students’ reactions to the samples! As the frozen berry samples were passed out, students squirmed in their seats with hands shot into the air, waving desperately as if the blueberry sample would be the last thing they would eat for a month. Staff in the lunchroom wondered what had changed to make the students suddenly so enthusiastic. Students said that the blueberries were a great treat – “It was like healthy ice-cream!”, one student exclaimed to the Farm to School Coordinator. 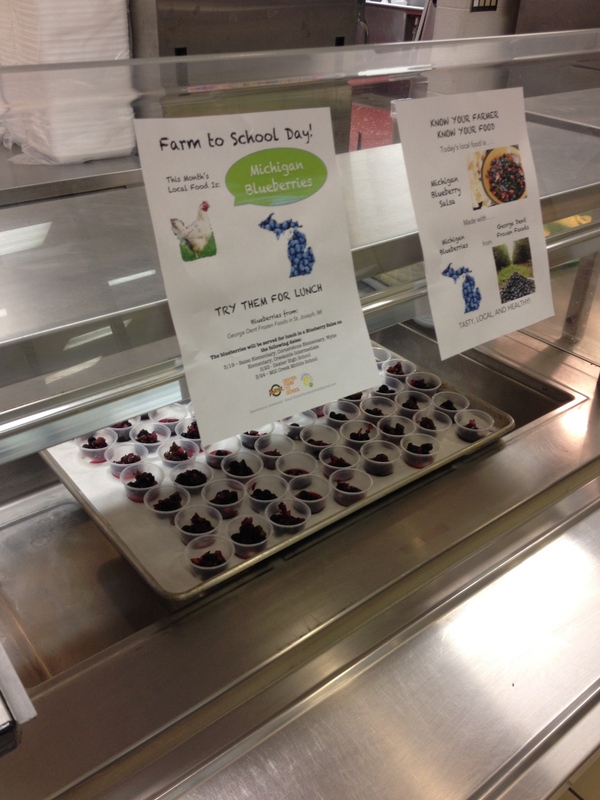 Frozen Blueberry cups on the lunch line at Wylie Elementary. 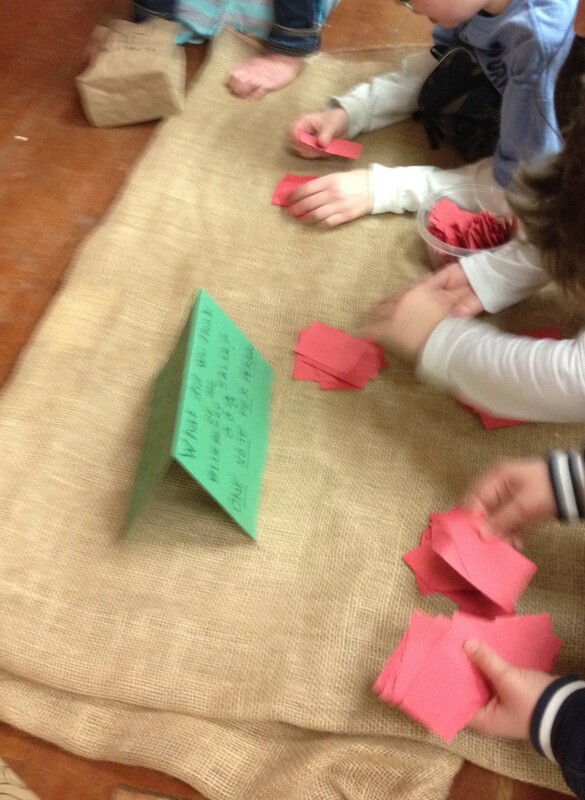 Students at Wylie were excited to count the votes from their peers. The votes yielded an overwhelmingly positive response to the frozen blueberries!